The preparation of processed foods is a complex science, which requires an understanding of complex chemical interactions as well as culinary expertise. Shelf life can be extended by dehydration and addition of preservatives, however, these will affect the texture and taste of the food. A careful balance of ingredients and preparation techniques can produce a tasty food with a long shelf life. The interaction of the food and additives with water is an important factor in optimizing food processing. 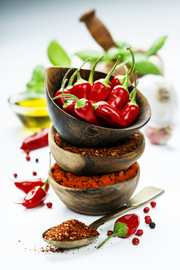 Measurement of the amount of water in the food, how rapidly it adsorbs or loses water, and the effect of water on the interaction of the ensemble of ingredients is key to the control of the process. Water Activity (Aw) is defined as the ratio of the partial vapor pressure of water in a substance to the vapor pressure of pure water at the same temperature (i.e. P/P0). Since high Aw supports the growth of microorganisms, controlling the Aw is important to the shelf life a foods. The “out of the box” water activity of foods can be measured by placing the food in a closed container allowing it to come to equilibrium and measuring the relative humidity in the chamber. In this case Aw = RH/100. The Aquadyne DVS has the capability to measure the relative humidity in a thermostatically controlled chamber. Although the chamber is not hermetically sealed, since it is designed as a dynamic system, it is sufficient to establish equilibrium and determine the water activity. Quantachrome Instrument for determining the water activity is the Aquadyne DVS. More important than the static water activity is the rate at which a food gains or loses water. Over time, unless hermetically sealed, a food will either gain or lose moisture to achieve equilibrium with its environment. Design of packaging is critical in slowing this exchange of water, but once the package is opened it is desirable for the food to gain or lose water as slowly as possibly. Measuring the rates of water sorption under various humidity conditions can help food designers to optimize the formulations and increase the length of time a food remains fresh after opening. The Aquadyne DVS can control the temperature and relative humidity, while continuously measuring the mass change (due to gain or loss of water) over time. This kinetic information can also be obtained using the VSTAR vacuum-volumetric vapor analyzer. Vacuum-volumetric (manometric) analyzers are typically faster than gravimetric analyzers, since in gravimetric analyzers the water has to compete with the carrier gas to reach the surface and diffuse into the sample. However, gravimetric systems more closely simulate “real world” conditions of food handling and storage. #44 - Water Vapor Sorption by Milk Powders. #45 - Kinetics of Water Vapor Sorption by Apple. Quantachrome Instruments for water sorption analysis are Aquadyne DVS and VSTAR. Foods are sometimes dehydrated to prolong shelf life or produce and “instant” product to which water is added prior to consumption. In this case a balance must be obtained between a slow rate of water sorption to prolong shelf life and a fast rate to allow rapid rehydration at preparation time. These rates are easily measured in a water sorption analyzer as described above. In addition, products such as instant coffee need to be able to dissolve rapidly in water. The larger the surface area, the faster the powder will dissolve. Measuring the surface area using the BET (Brunauer, Emmett, Teller) model can help in process optimization and quality control. Quantachrome Instruments for water sorption analysis are Aquadyne DVS and the VSTAR. 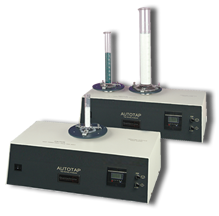 Quantachrome Instruments for surface area measurement are the Autosorb 6iSA, Quadrasorb evo, NOVAtouch, and Autosorb iQ. As discussed above, the rate of water sorption/desorption is directly related to the shelf life of foods. Careful control of the formulations and process, with feedback from a water sorption analyzer can optimize the rates, lengthening the shelf life without affecting the taste and texture. Milk powders provide the benefit of increased shelf life, and reduced shipping costs compared to natural milk products. Traditional categories of milk powder include WMP- Whole Milk Powder, SMP- Skim Milk Powder. Milk powders’ physical properties are increasingly being tailored for use in a wide variety of food applications. These include high protein milk powders, buttermilk powders, whey protein, powders for coffee, butter powder, cheese powder, encapsulated butter oil powder, malted milk powder, milk powder for cheese, milk crumbs, baked goods, and non-fat yogurts. Bulk density is a very important physical characteristic for manufacturers of milk powders important for both reasons. The bulk density of milk powders is important for the sizing of storage silos, powder handling equipment, and packaging. Low milk powder bulk density impacts other physical properties such as flowability and dissolution. High bulk density is beneficial for reducing shipping and packaging costs. Bulk density is the weight of powder unit volume It is expressed in g/cm3, kg/m3, or g/100ml. The tapped bulk density of milk powder is measured in a graduated cylinder , after exposure to compression by standardized tapping. Tapping is the lifting and dropping of the cylinder, not application of an external force and, and the compression (volume reduction) occurs by particle-particle rearrangement . The tapped bulk density represents the smallest volume a given weight of powder will occupy without fracturing the milk powder particles. The measured bulk density of dried milk powder has a wide range, and will vary depending upon the manufacturing and processing methods. Standardized tapping can be accomplished using Quantachrome’s AutoTap® tap density analyzer. Bulk Density of the final milk powder will be influenced by particle density, the interstitial air (gaps between milk particles), and the occluded air (amount of air trapped within milk powdersparticles). Occluded air has the largest impact on bulk density differences and variability. Low occluded air content will result in a high bulk density product. High occluded air content will result in a lower bulk density. The tapped bulk density measurement minimizes interstitial air in a reproducible way allowing occluded air differences to become the focus of attention. By comparing the initial (loose) powder volume with the final (tapped) volume one can predict the flowability of a powder. This comparison is normally done by calculating the ratio of the volumes (Hausner) or the change in volume as a percentage of the initial volume (Carr’s).